There are several reasons why a trip to our service center might be necessary. Your vehicle could need an auto repair in New York. It might be time for routine maintenance to help keep your vehicle sharp. Maybe that pesky check engine light is on again and you’re not sure why. Whatever the reason, you can trust our qualified team of skilled service technicians to care for your vehicle and help it reach its full potential. 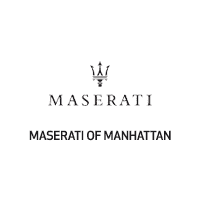 Armed with skill, experience, and an arsenal of genuine Maserati parts, our New York service center has talented technicians that are more than prepared to perform quality maintenance and repairs to keep your vehicle in excellent condition. While you wait for our team to work on your vehicle, you can kick back in our service lounge. Enjoy free Wi-Fi, gourmet coffee, snacks, and HD TV. We also have a free shuttle available that can drop you off at or pick you up from any place within 20 miles of our store. If your service is projected to last for over two hours, we’ll even give you a loaner vehicle for the day free of charge.